The metabolic syndrome was recently defined by the Adult Treatment Panel III. Despite a lack of uniform definition of the syndrome in pediatrics, recent studies have shown that the syndrome develops during childhood and is highly prevalent among overweight children and adolescents. The hypothesized central role of insulin resistance and obesity as a common underlying feature of the metabolic syndrome also appears to be already manifested in childhood. In view of the current obesity epidemic in children and adolescents, there is a vital need to provide adequate guidelines for the definition of the metabolic syndrome in pediatrics and for the development of screening and treatment strategies. 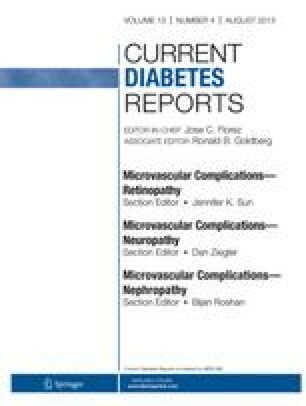 This article focuses on the above issues, as well as on the impact of the syndrome on two major disease outcomes, type 2 diabetes and cardiovascular disease.